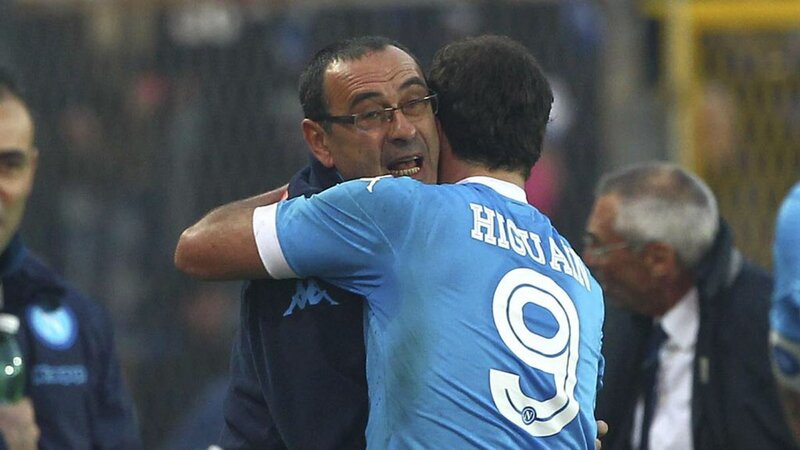 It may go down to the wire but Chelsea have a noon deadline on Wednesday to register Gonzalo Higuain to be available for the 2nd leg Carabao Cup semi-final on Thursday – a report in the Metro suggests that Gonzalo Higuain is in London to finalise proceedings. Spurs will know only to well what Chelsea’s potential new signing Higuain can do, with the Argentine scoring three times against them in last season’s Champions League for Juventus – eliminating the north London side. CFCnet’s predicted Chelsea line up vs Tottenham on Thursday in the Carabao Cup semi-final 2nd leg at Stamford Bridge is as strong as it can get and if Higuain is signed in time, then it would be foolish not to throw him straight in and see what the striker can do in Maurizio Sarri’s biggest game to-date with the Blues. Eden Hazard would likely drop back to his left-side role, with Willian on the right and Higuain leading the line. The midfield is once again set to be made up of Jorginho, Mateo Kovacic, N’Golo Kante. Azpilicueta, Rudiger, Luiz and Alonso will start in defence with Kepa once again in goal. CFCnet’s predicted Chelsea line up has no sign of Alvaro Morata who is expected to complete a move to Atletico Madrid shortly, Olivier Giroud should be on the bench though. With an FA Cup game with Sheff Wed at the weekend, Maurizio Sarri is all but certain to go with his strongest Chelsea XI on Thursday and freshen things up on Sunday against the Championship side.